If you’re not automating your sales process in 2018, you’re getting left behind. With today’s range of tools, businesses of all sizes are turning automation into bigger results. Which means it’s not only the leading brands in your industry you need to try and catch up but also the smaller enterprises who now have the tools to leapfrog you – unless you make the jump first. You can jump right ahead to each of those categories by clicking on them in the list above. Otherwise, let’s get started by looking at automation tool that’ll help you identify new prospects to target. 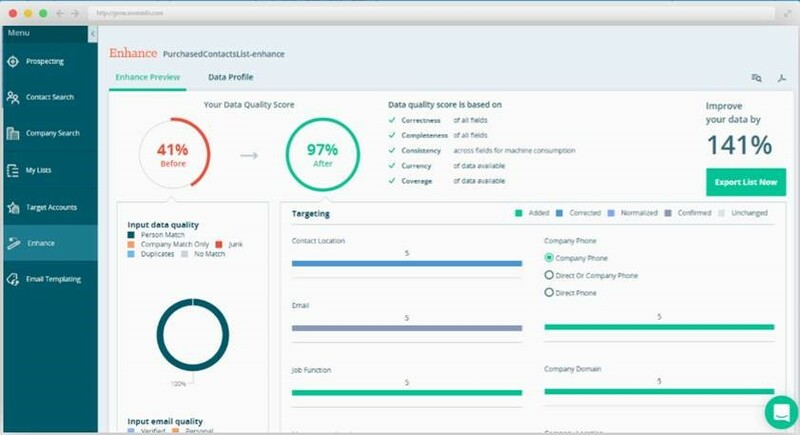 First up, we’ve got Datanyze and this tool helps you pinpoint businesses that need your technology products/services by telling you which kind of technologies they’re already using. Developing a new WordPress plugin? 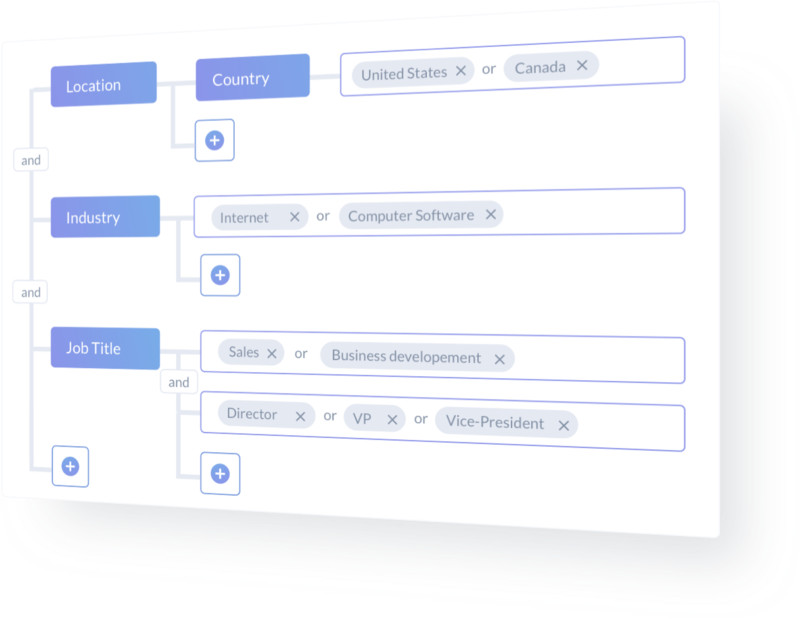 Then Datanyze will help you build a list of companies using the CMS rather than wasting time with companies using Drupal or Wix. ZoomInfo also helps you find and refine your list of new prospects by searching for companies based on industry, location, company size, company revenue, job title, job function and all kinds of other data points. 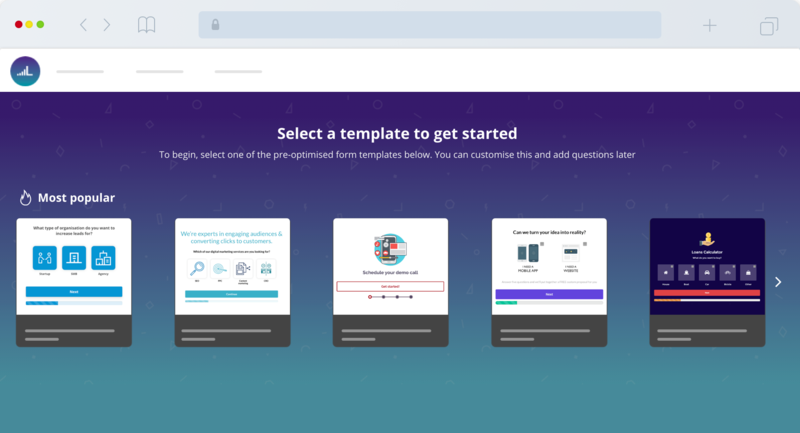 If you’re after a B2B lead generation hack for Twitter, Socedo provides a platform to find qualified prospects on the social network and automate your first interaction with them. 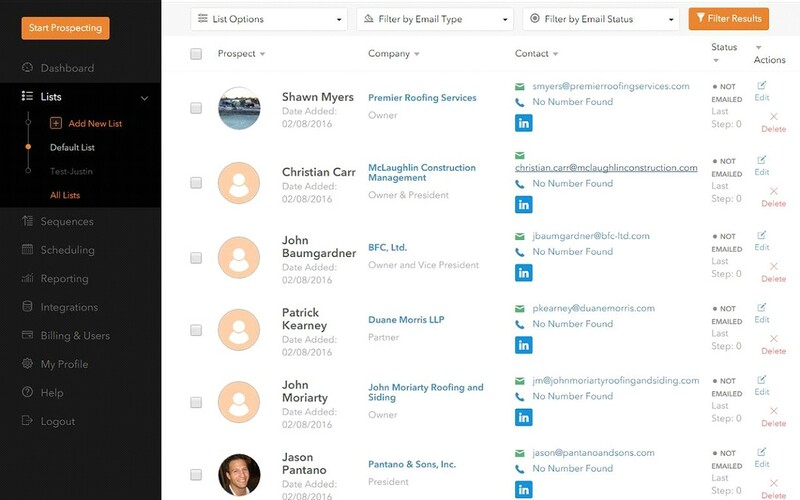 LeadFuze powers your LinkedIn prospecting efforts by searching for leads in specific roles and industries, plus a range of data points such as location, software choices, Google Ads spend and plenty more. With LeadFuze, you don’t need to do all of this manually for each individual contact – you can do it all at scale. Managing one social media account is time-consuming enough, let alone having to manage multiple. 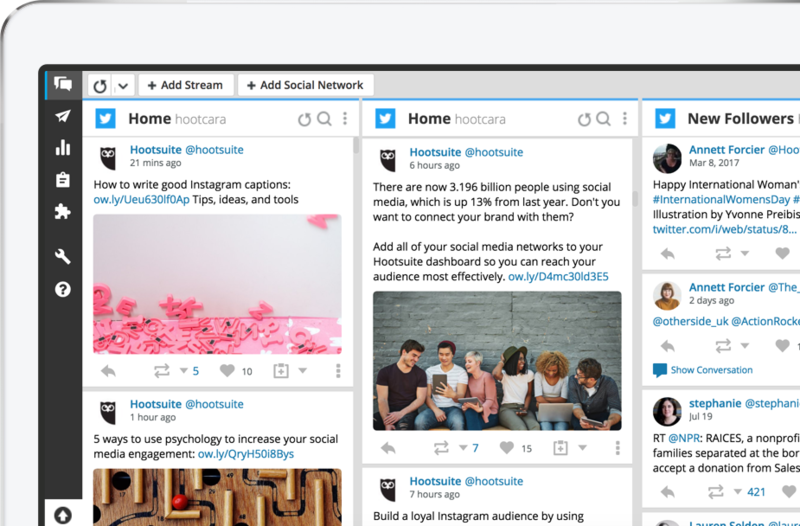 Hootsuite allows you to manage all of them from one place, get insights for your entire social marketing strategy and – most importantly – schedule and automate your posts. 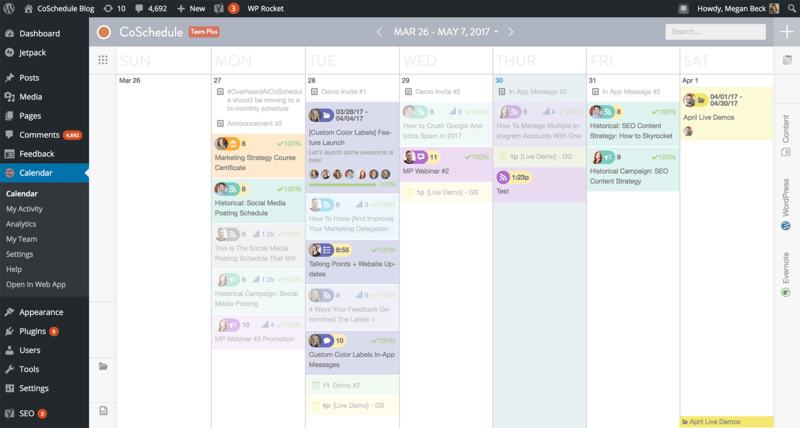 CoSchedule is a pretty good alternative to Hootsuite (although its automation and analytics features aren’t so good) but it really shines as a social media calendar for teams. You get a bird’s-eye view of who’s publishing what on which day and you can use it to automatically publish your WordPress posts to each social account. 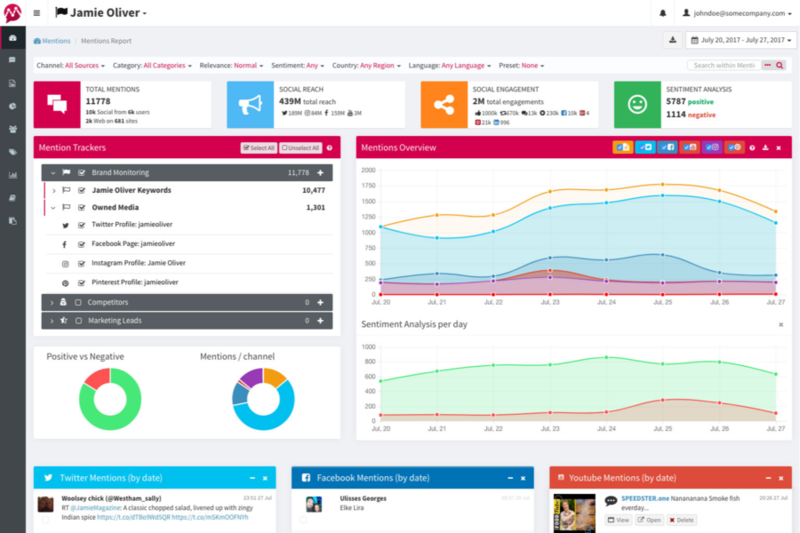 Mentionalytics shows you what people are saying about your brand across social media, online news, blogs and just about any website. If you’re being mentioned, this platform will tell you about it and this is a vital tool for gauging the impact of your brand awareness campaigns – not to mention a powerful lead generation tool. Google Ads scripts (previously AdWords scripts) allows you to automate all kinds of advertising actions, such as bid adjustments based on specific parameters. For example, you can create a script that automatically pauses your ads if they drop below a certain return on ad spend (ROAS) or other KPI for a week – so you’re not wasting money on ads that aren’t performing. If scripts aren’t for you but you still want to automate your PPC strategy (and you do, btw) then you might want to take a look at AdScale. This platform makes Google Ads automation easy, even if it comes at the expense of being less flexible. Once you’ve identified your new prospects and got them on your website, you need to convert them into valuable leads. In most cases, this means getting your hands on their email address or engaging them with some kind of meaningful interaction. 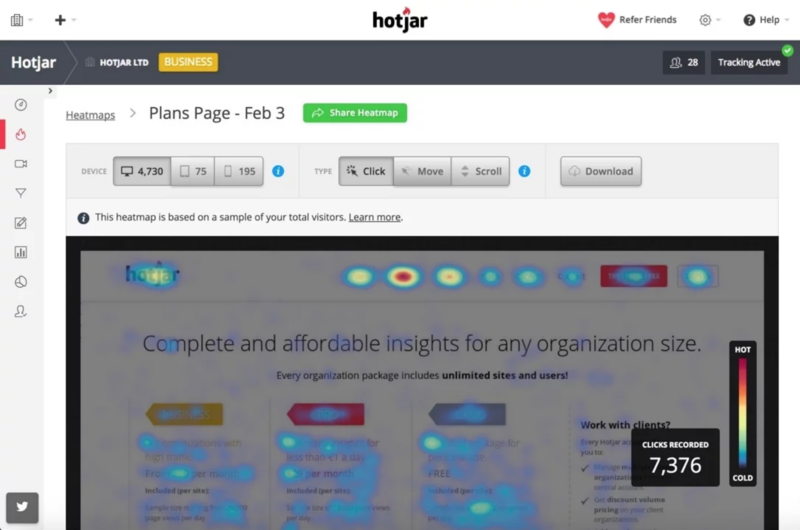 Popups are always a controversial topic in marketing. Implement them effectively and they can get results but you always have to deal with the fact you’re interrupting the user experience. 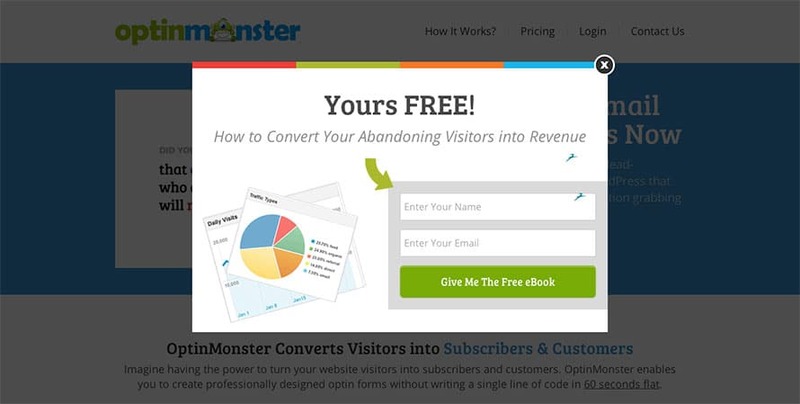 Optinmonster’s exit-intent popups are a great compromise as they only trigger when it appears a user is about to leave your site. 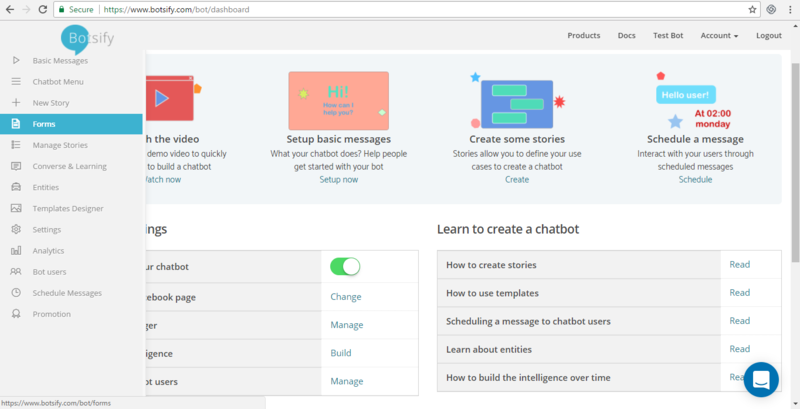 Botsify recently made it onto our list of the best chatbot builders in 2018 and the fact it’s one of the most flexible builders on the market right now is precisely why it’s getting our recommendation in this article as well. Leadformly is an advanced form design and analytics platform that maximises your email signups. We’ve used this tool to increase conversion rates for our clients by up to 300% and the platform’s multi-step uses conditional logic to automatically segment your leads as they complete your forms. So, aside from increasing your conversion rates, Leadformly also increases the quality of your leads without your sales team needing to do any extra work. 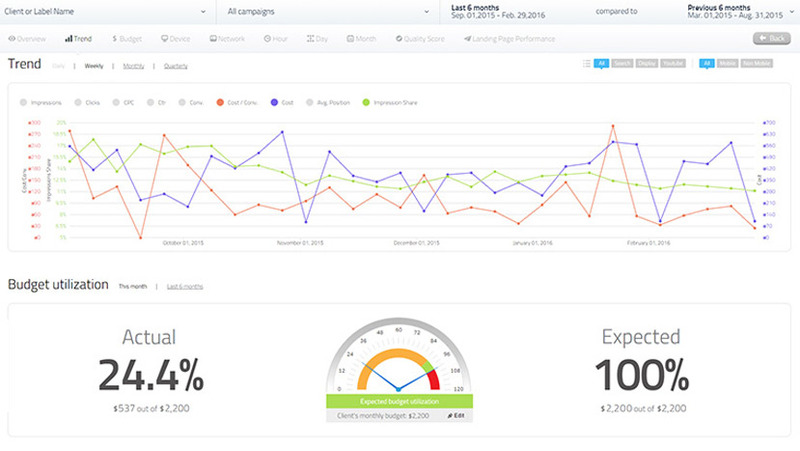 Everwebinar allows you to automate your webinar marketing strategy to get the most out of every event you host. Instead of holding live events, you create your webinars and schedule them to play at fixed times (eg: every 30 mins) so users are always a matter of minutes away from being able to watch your webinar. We combine Everwebinar with Leadformly to create a fully automated webinar strategy that generates a constant stream of leads for us. 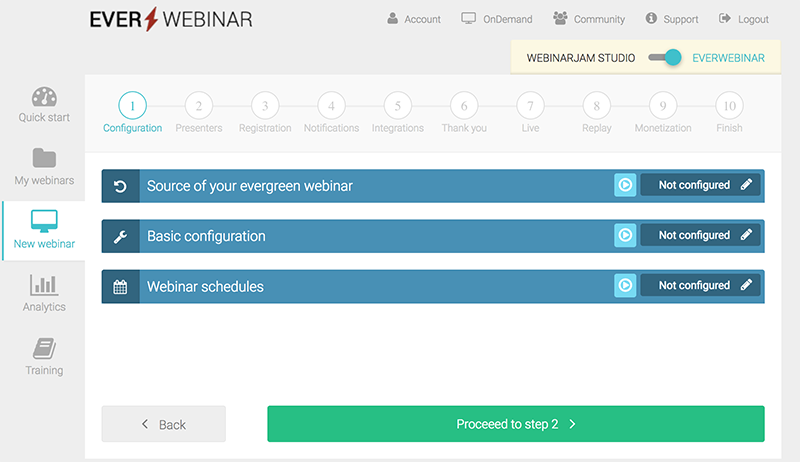 You can find out how we do this in more detail by reading our ultimate guide to automated evergreen webinars. The key to increasing the quality of your leads is to create more engaging, personalised experiences. 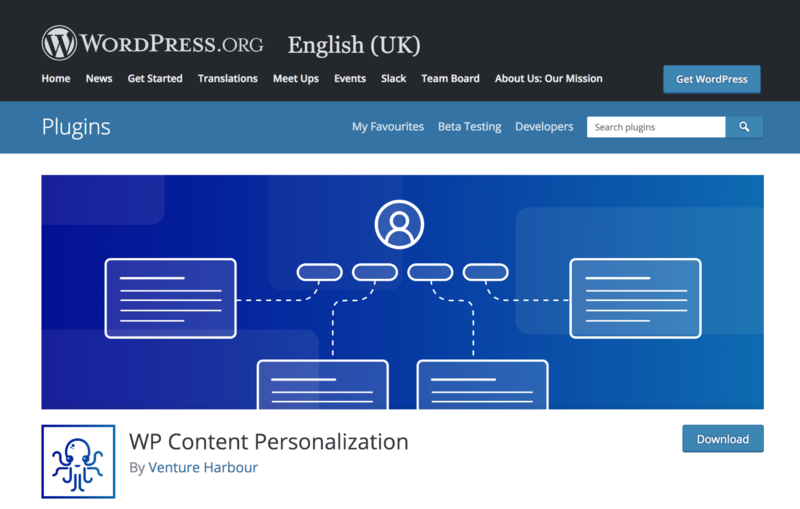 This is precisely what we do with conditional logic using Leadformly and we’ve decided to take this even further with our WordPress content personalisation plugin. Let’s say you have an article on the best hosting providers that’s performing well in search. 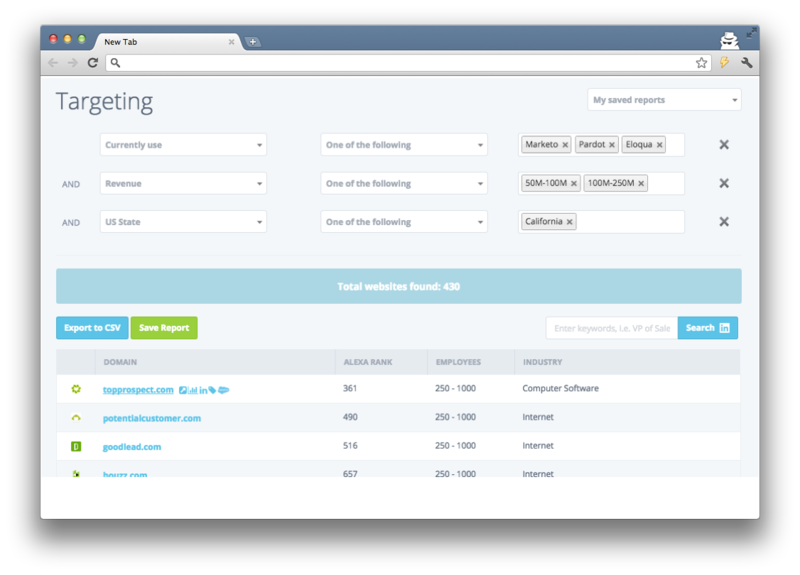 The plugin allows you to create sections for different audiences (eg: business size, business type, budget, etc.) and ask readers to choose which applies to them so they only see the content you created with their specific needs in mind. 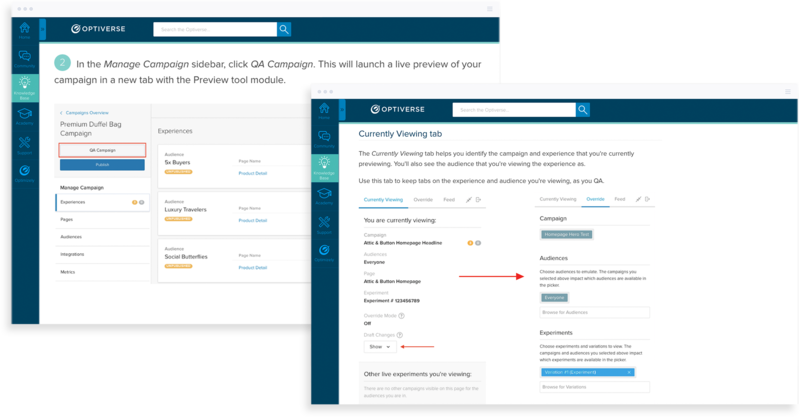 Optimizely takes content personalisation to another level entirely, allowing you to show different messages to users based on the ad they’ve clicked, the channels they’ve come from and how many times they’ve visited your site before. With your lead generation strategy automated and maximising results, it’s time to start thinking about how to nurture these leads and make sure more of them turn into paying customers. The first thing you’re going to need for this is a customer relationship management (CMS) platform that packs some might automation features. It’s hard to find a more complete package than ActiveCampaign without paying heavy monthly fees and automation is one area where the platform really shines – especially on the email marketing side of things. GrowLabs calls itself an all-in-one marketing and sales automation platform but it doesn’t quite do enough to fit into this category for us. However, it does do two things particularly well: lead generation and automation. It all starts with lead prospecting (like the first batch of tools we looked at) and then moves into email automation, powered by machine learning. If you’ve already got a CRM but it doesn’t offer enough in terms of automation, then a tool like Autopilot is the kind of platform you want to integrate. 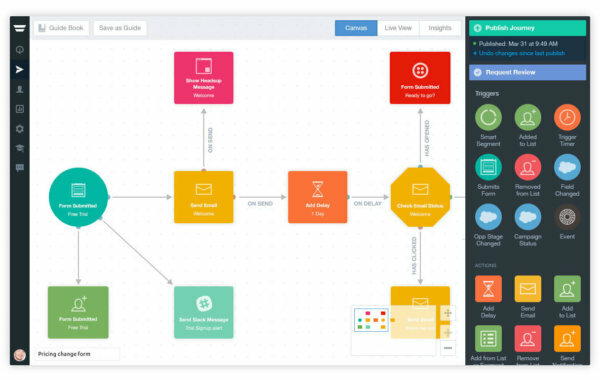 Its visual automation builder makes it incredibly easy to create your own workflows and the list of platforms it integrates with is only growing – so take a look. 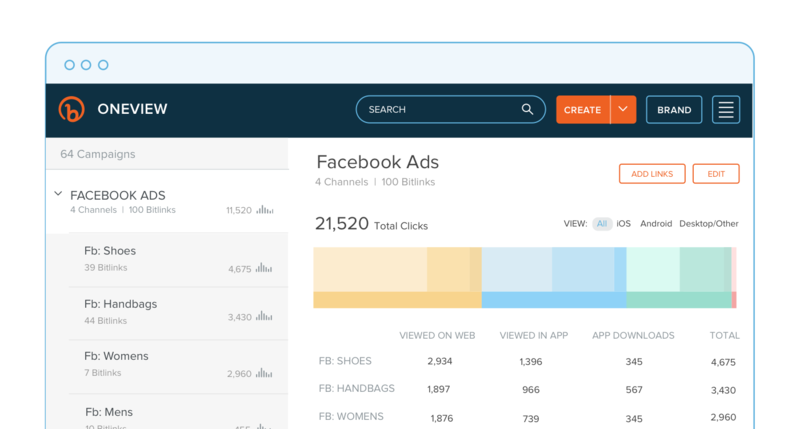 Bitly assigns unique links to users so you can identify and track them across devices. This helps you create more relevant experiences as people move along the buying journey, regardless of which devices they switch between. 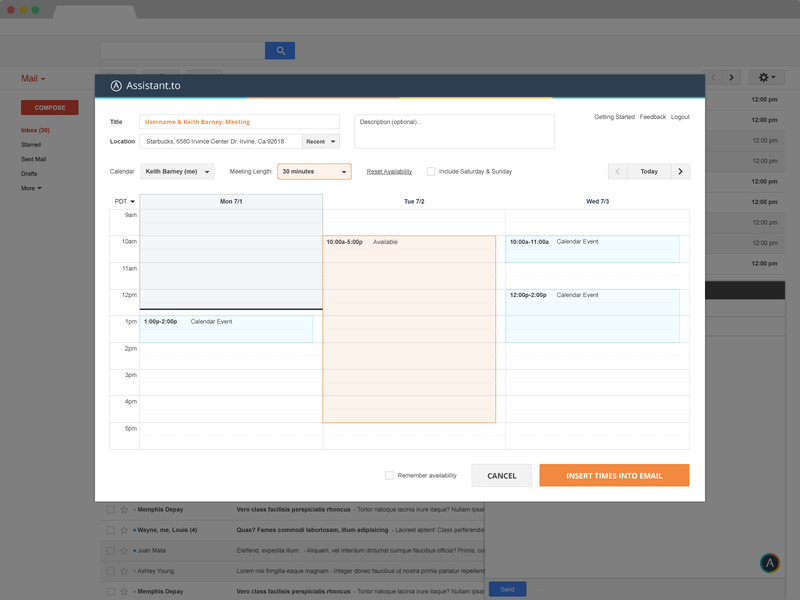 With Assitnant.io your sales reps can schedule meetings by selecting several open slots on their calendar. An email is automatically composed which shows the prospect the available slots and lets them select one and schedule if the rep is still available. TenFold captures incoming and outgoing calls to and from your sales team and ensures the rep has all the relevant information on a prospect right in front of them during the call. One of the most time-consuming tasks for B2B businesses is creating proposals and quotes for prospective clients. The problem is, the more leads you deal with, the more of these quotes and proposals you have to create, which results in a kind of negative process. To prevent your team from getting bogged down with quotes and proposals, you want to automate as much of this process as possible. 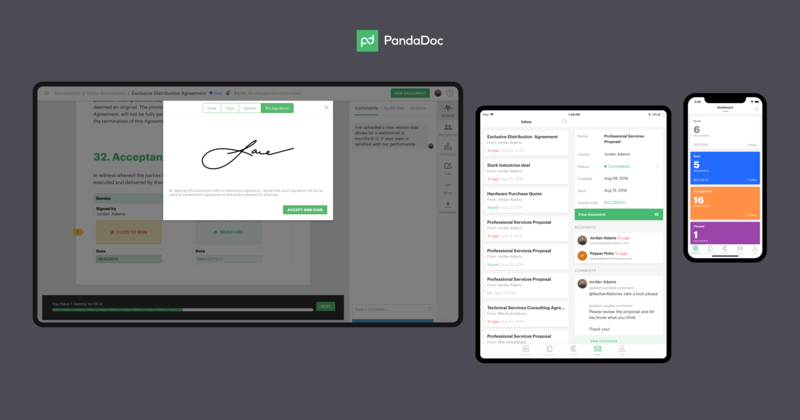 Pandadoc is a great tool for this and we use it ourselves with Leadformly to automate the majority of our quotes and proposals. You can find out more about how we do this by reading our guide to automating quotes and proposals. Helpscout is all about providing the best possible customers service for the people who matter most to your business. 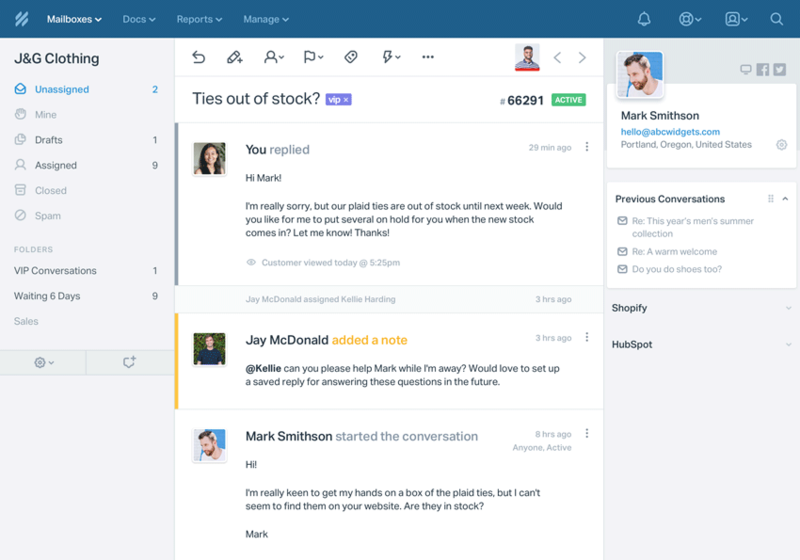 It gives you an integrated system for email and live chat support, allowing you to respond quickly to every customer query and keep track of progress. Ambition is a sales performance management system designed to help you build more productive sales teams and motivate them to achieve better results. 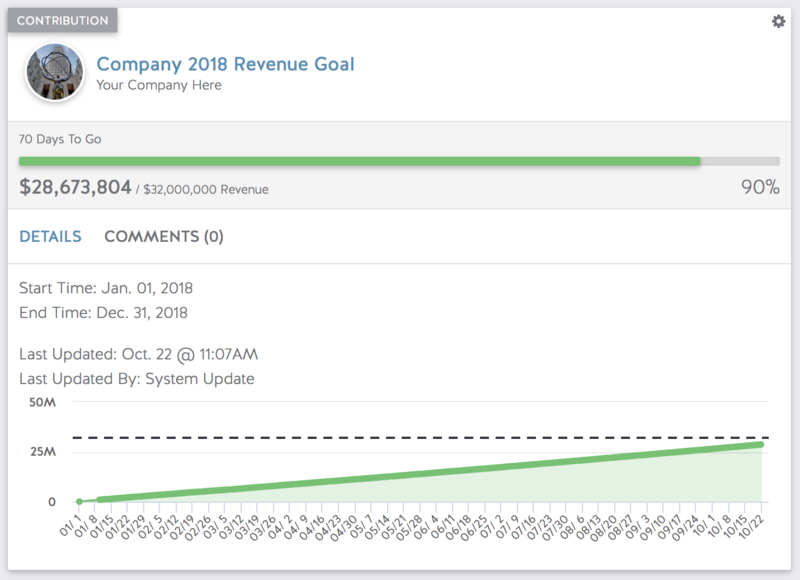 It’s a data-orientated platform where you can set goals, create scorecards, run sales contests and inspire your sales reps to reach new levels. 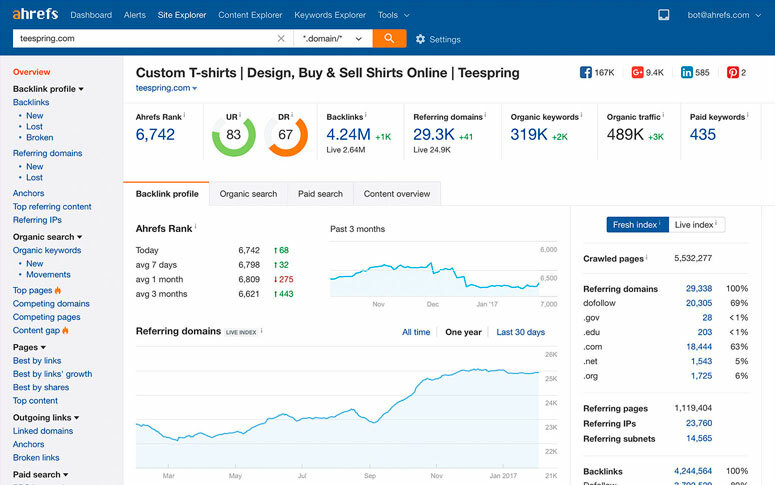 One first marketing tasks to benefit from automation was technical SEO and this is still one of the best use cases for the technology, allowing your team to focus on the more creative side of search optimisation while knowing the more technical stuff is still being taken care of. We know that backlinks are still one of the most important ranking factors in Google (pretty much the most important). It’s not only good links Google is looking out for though and one of the most damaging things to your search ranking is low-quality links. Sadly, these are often the most common links you’re going to get and you need to keep on top of the sites pointing towards your domain. This is where automated link audits are essential and this feature alone makes Ahrefs an invaluable tool. 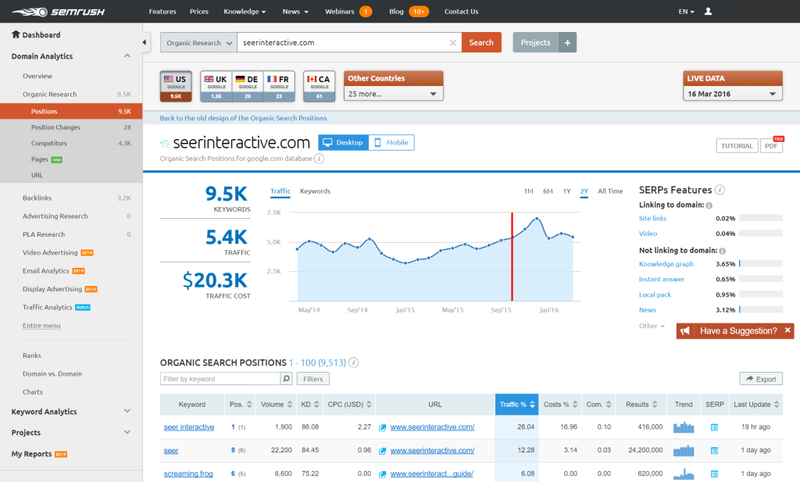 While Ahrefs’s automated backlink checker is the best in the businesses (as far as we’re concerned), SEMrush’s on-site auditing tools are incredible. With these two platforms you almost don’t need to run any manual audits and you know you’re going to get an alert when any technical issues crop up. InVision is a project management tool for design teams that takes the pain out of collaboration with a bunch of productivity features. One of our favourites is the interactive build mode, which means your designers can turn their static mockups into interactive demos, allowing others to click on elements and see what actions take place. 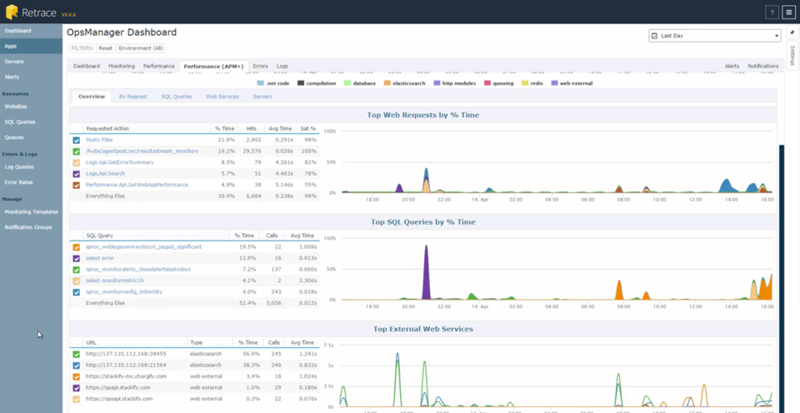 Retrace improves the quality of your developers’ code by finding bugs and identifying opportunities to improve performance while they write their code. This also helps you implement coding style guides and internal best practices for better consistency. 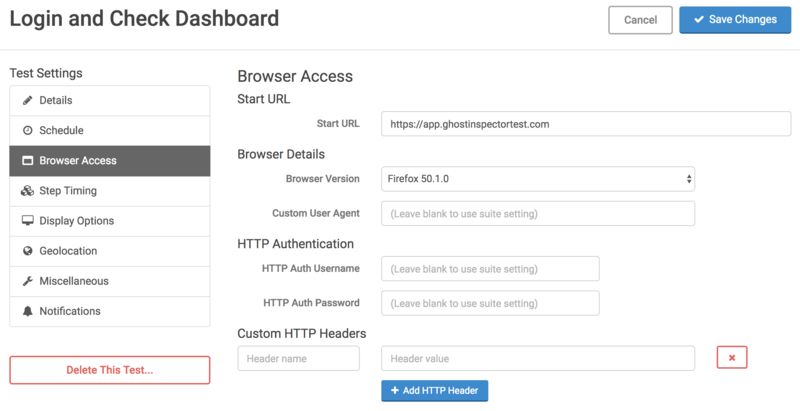 Ghost Inspector automates post-development tests and it’s especially good for tracking down regression bugs caused by updates or technical issues. We currently run about 150 automated tests per day using this tool, which we simply wouldn’t be able to do manually. 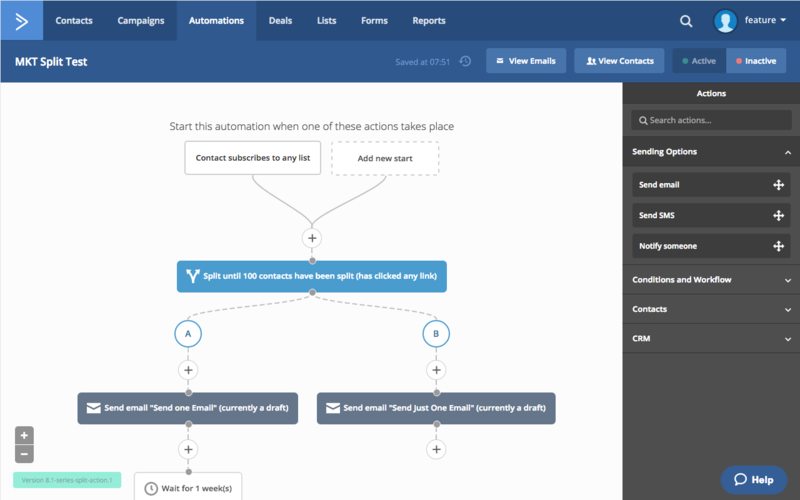 Are you completely new to sales and marketing automation? If you’re new to automation, this is the first tool you want to get your hands on. 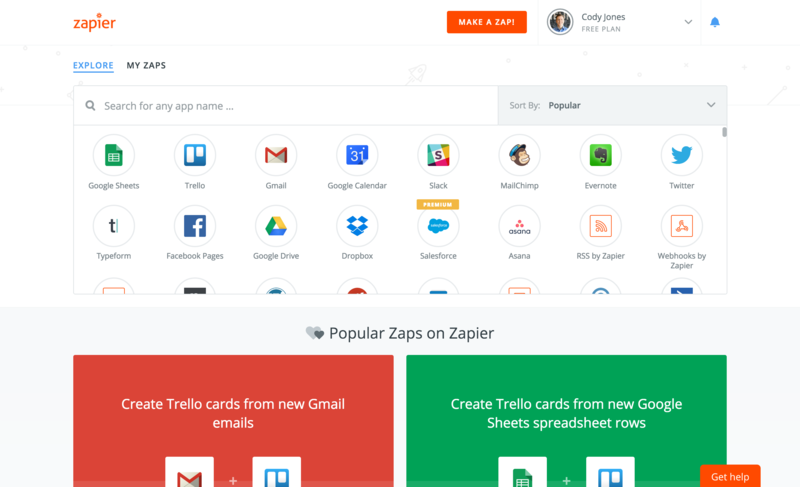 While it’s very basic in terms of what you can do, Zapier will give you the best introduction to automation you could hope for and help you get into the problem-solving mindset that’s so important for automating tasks. Automation tools are starting to mature at an exciting time for marketers and new businesses. With the tools now available, even the smallest of ventures can do sales and marketing like a major brand, as long as you know which tools to choose for your needs.